A large special. This is broken both sides and bottom. Unidentified maker. 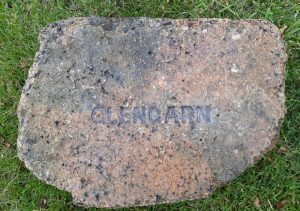 Find location would suggest Scottish origins but…. 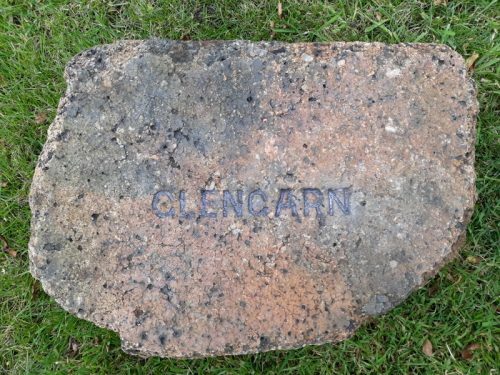 The mark looks complete but the odds are that it should read Glengarnock or perhaps Glengarn is a recognised abbreviation for Glengarnock. 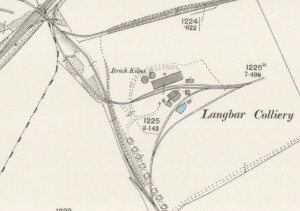 The Glengarnock Ironworks were situated fairly nearby and the Langbar Brickworks, Glengarnock lay just to the East of the iron works. 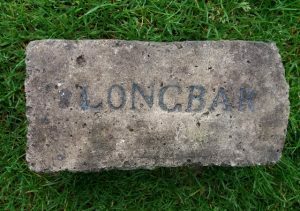 This is very likely a product of the Longbar Bricworks. 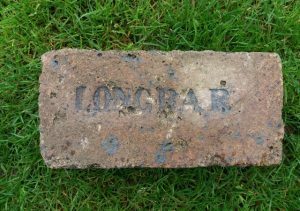 Found at Glengarnock Ironworks, Ayrshire Longbar or Langbar Colliery, Beith, Ayrshire . . . .
Found by Robert Jamieson in Beith, Ayrshire Longbar or Langbar Colliery, Beith, Ayrshire . . . .